¥₤$ Blog & Merch: Secret College Rave .....BUT TELL EVERYBODY! 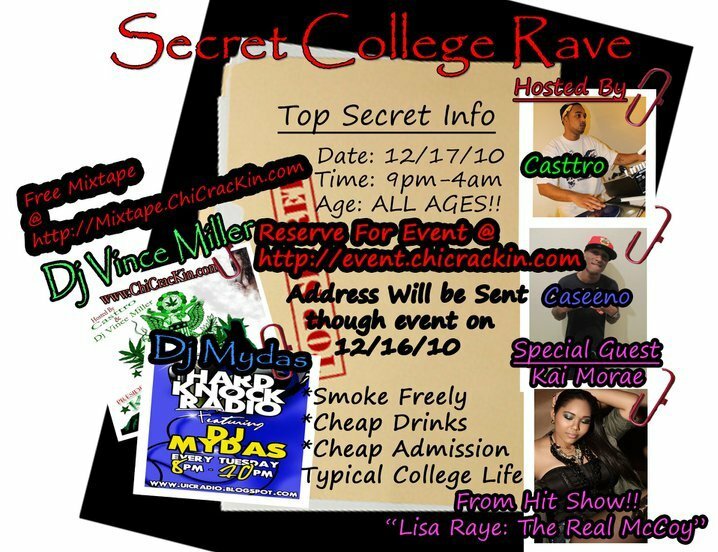 Secret College Rave .....BUT TELL EVERYBODY! IT'S ABOUT THAT TIME MY COLLEGE PEERS. WE'VE STUDIED HARD NOW IT'S TIME TO PARTY HARD. IT'S THE END OF THE SEMESTER!! YOU DESERVE IT. LET'S GO CELEBRATE. This Party is Hosted by Caseeno (BDAY BOY) and Casttro with a guest appearance by Kai Morae (From the Lisa Raye Show).